Good morning, dear friends! We start the new week with a very easy and yummy recipe! 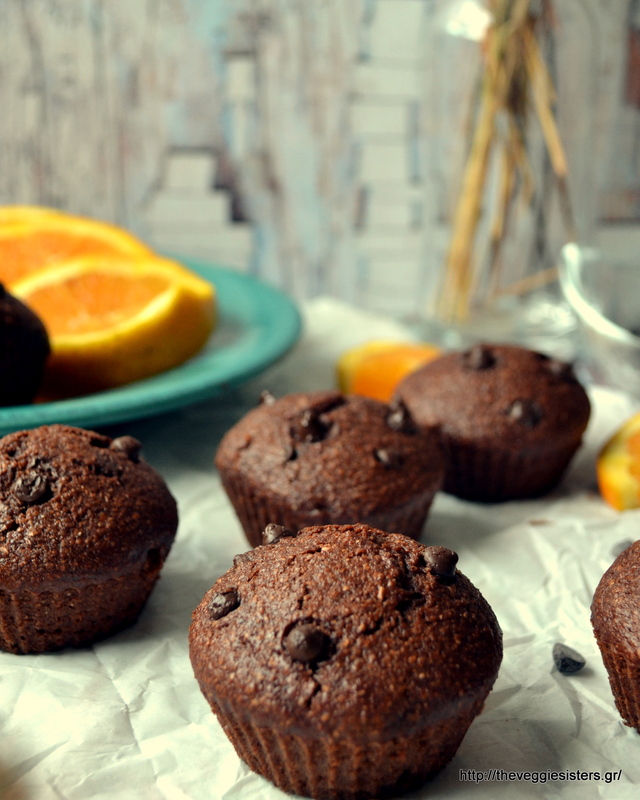 We present you the ultimate vegan chocolate orange muffins! They are absolutely decadent and you should definitely try them. These are the result of many experiments I made with my hubby! It is a tailor made recipe for the Holmes Place menu. We were really excited to develop a recipe for this club. Holmes Place maintains a network of premium health clubs & spas throughout Europe. 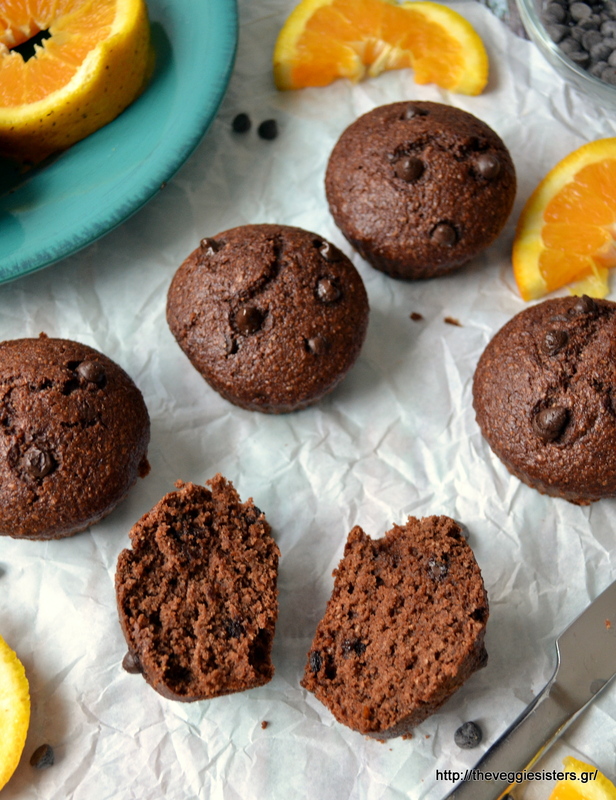 These muffins are ideal for breakfast or for your coffee. I am sure you and your kids will love them! In a bowl combine flour with cocoa and baking powder. In another bowl combine applesauce, sunflower oil, orange juice, milk and stir with an eggbeater. Add zest and sugar and stir to combine. Put gradually the flour mixture into the wet mixture and combine with an eggbeater and in the end with a spatula. Fold in 50 gr. chocolate chips. Empty batter in muffin cases and top each muffin with 3-4 chocolate chips. Bake in preheated oven at 180C for about 20-25 minutes. Remove from the oven and allow to cool. Enjoy! 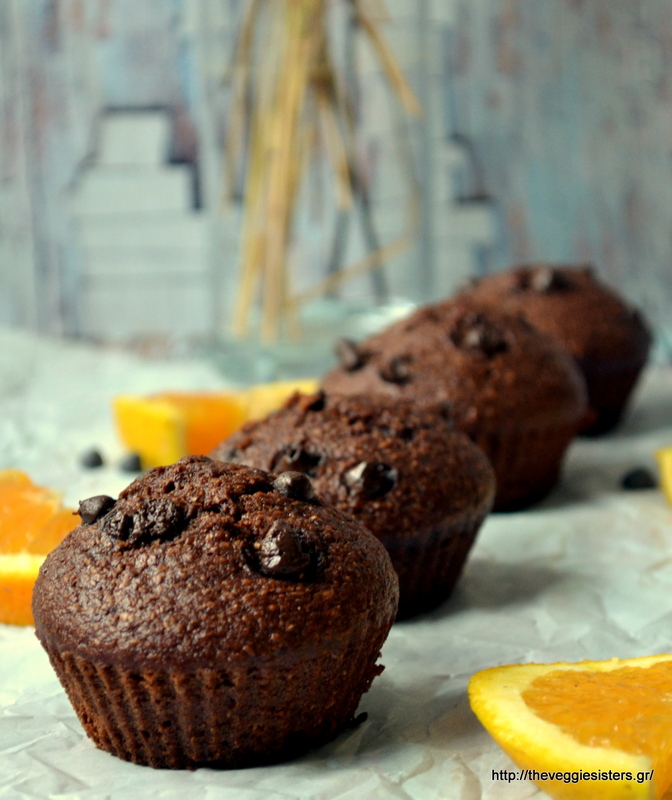 Share the post "Vegan super easy chocolate orange muffins"